Climateer Investing: "Fascinating new clues emerge on lost tsarist gold and diamonds worth an untold fortune"
"Fascinating new clues emerge on lost tsarist gold and diamonds worth an untold fortune"
The amazing thing is: this stuff turns up from time to time. In 2014 we posted "Find of the century? U.S. scrap dealer finds $20 million Faberge egg" and it turned out there was a buyer who desired the newfound treasure so much and didn't want to risk it going to auction that he offered $33 million for a private sale. Secret KGB documents and a book by ex-FSB colonel kickstart 100 year old search for missing Romanov treasures and valuables. A wide array of treasures including the personal riches of the tragic Russian royal family went missing in Siberia in the aftermath of the Bolshevik revolution exactly a century ago. The lost riches in the ensuing chaos includes vast bullion reserves worth tens of billions of dollars, along with precious gold and silver awards dating to the brief period of Siberian 'independence' after Lenin's seizure of power - all of which had been in the hands of White forces seeking to roll back the Red advances after the defeat of Russia's post-tsarist provisional government. 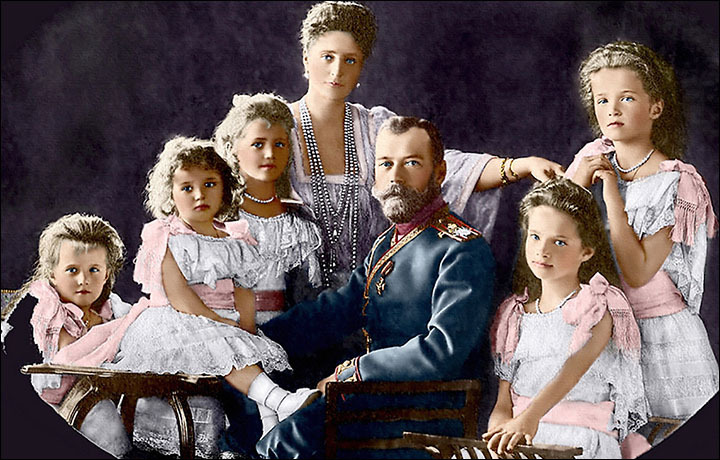 The troves include the personal jewellery and valuables of the tsar, his empress Alexandra, their four princess daughters, and son and heir Alexei, all of whom were shot to death in Yekaterinburg in July 1918. It is probable Nicholas intended some of these personal riches as dowries for his unmarried daughters, aged between 17 and 22 at the time they were slain. Remarkable new evidence points to at least newly-disclosed FIVE locations for the lost treasures which includes diamond encrusted sabres and dirks, belonging to the ex-tsar and, Alexei, Russia's last crown prince, who was 13 when he was brutally executed. The Soviet authorities repeatedly hunted for the treasures, and while they discovered some of them, large quantities have remained missing. A bizarre but abortive Nazi-backed attempt was also made to find some of the valuables in the middle of the Second World War, we can reveal. The Siberian Times has unearthed a document held in KGB - Soviet state security - files indicating that 26 boxes of tsarist-era gold were stashed at a depth of 2 to 2.5 metres deep in ground around five kilometres from Taiga (Tayga) railway station on the Trans-Siberian railway route in modern-day Kemerovo region in late October 1919. "In Search Of Russia's Lost Gold"
"By the Grace of God, We, NN, Emperor and Autocrat of All the Russias, Moscow, Kiev, Vladimir, Novgorod; Tsar of Kazan, Tsar of Astrakhan, Tsar of Poland, Tsar of Siberia, Tsar of Chersonese Taurian, Tsar of Georgia; Lord of Pskov and Grand Prince of Smolensk, Lithuania, Volhynia, Podolia, Finland; Prince of Estland,....."
"...hereditary Sovereign and ruler of the Circassian and Mountainous Princes and of others; Lord of Turkestan; Heir of Norway; Duke of Schleswig-Holstein, Stormarn, Dithmarschen, and Oldenburg, and others, and others, and others."